The front 83'x91' 7650sgft gym can seat approx. 350-400 people in the bleachers. 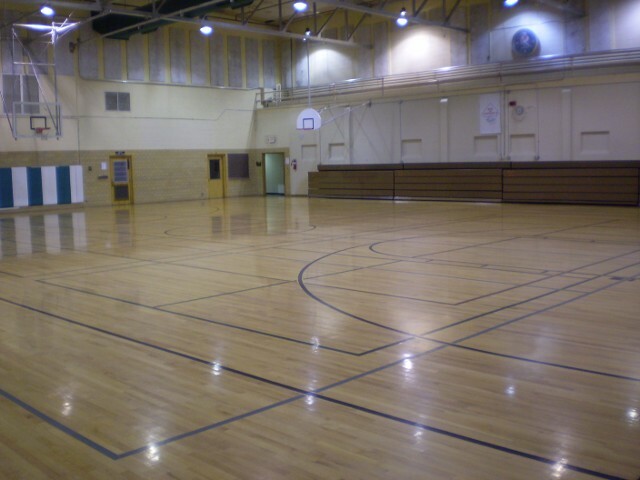 Play one Fulll Court or two Half Court volleyball games. Can also be set up for banquets, with sound system, no A/C. Our smaller 57'x88' 5000sqft gym but our most popular gym!. It is seperately heated and air condtioned. The baskets can be raised up out of the way for a party, banquet or reception!